zoro will cry if he find out that luffy has o wazamono sword. This would actually make one wonder if Ace is into Loli’s..
Didnt expected to see the kitetsu plot so soon in Wano. Tengu is probably from kitetsu family. Can you believe Zoro got kitetsu before chapter 100 and we are already in chapter 912? Zoro will collect the 3 kitetsu swords. And knowing Oda, I don’t think they’ll fight Hawkins. Actually his master created Nidai kitetsu.. Correction: Not his master but his ancestor, the tengu’s name is Tobitetsu..
Don’t think he will get all three the wado ichimonji has too much significance to his character to be replaced. I’m 60% sure now, Rayleigh taught Luffy how to use a sword. Sanji is trained with a sword, his father mentioned that when they fought.. So I guess Sanji would have Nidai Kitetsu and Sandai would go to Luffy.. So Drake, Hawkins and Sheepshead are Headliners in Kaidou’s crew. Apoo is probably a Headliner too. Sellouts. Wonder if the curse of the swords comes true/breaks if all three are together. Maybe all three can be reforged into one blade and this removes the curse. 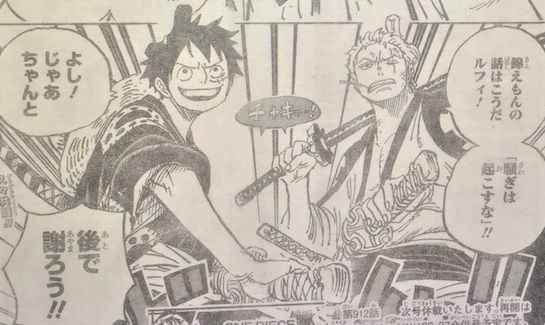 it’s pretty cleat luffy got the sword so zoro can get it later on. 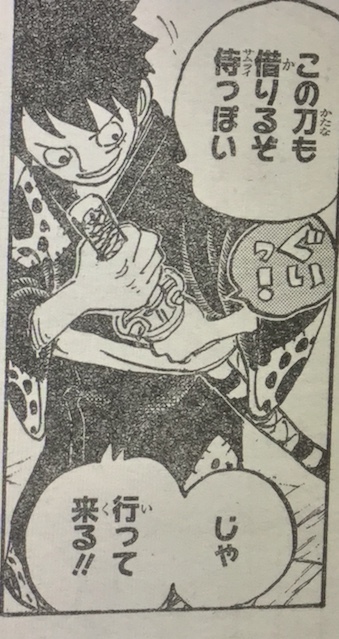 Shusui was given to hi by the previous owner of the sword that in itself has a huge meaning to it.. i don’t think he would give that away even if it’s Wano’s national treasure..
At this rate luffy is going to make the entire crew obsolete. the robin part you can check already. Luffy is also going to die – brooks.